In a bid to diversify the country’s energy mix, the government has embarked on a search for an appropriate piece of land for a nuclear power plant that would add about 4,500 megawatts (MW) to the country’s power generation capacity. This also forms part of its plans to make nuclear power a major source of power production in a bid to meet expected future demand. The Minister of Environment, Science, Technology and Innovation (MESTI), Professor Kwabena Frimpong-Boateng, speaking at the opening of the 29th Technical Working Group of the African Regional Cooperative Agreement for Research and Development and Training (AFRA), said the land for the nuclear power plant must among other things to be resilient to earthquakes and flooding. 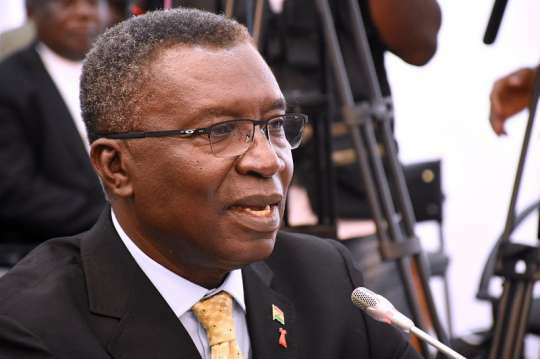 Following attempts to diversify the country’s energy mix with the introduction of solar sources, the government is also exploring the contribution of nuclear energy – having set up a Nuclear Regulatory Authority to spearhead the implementation of Ghana’s Nuclear Power Programme (NPP). Already, the country has passed all 19 infrastructural requirements to be considered for the commencement of an NPP, which is the first of three phases required by the International Atomic Energy Agency (IAEA) before the development of a national infrastructure for nuclear power. Prof. Frimpong-Boateng also pointed out that the government would sustainably increase funding for research and development until funding for the sector reached appreciable levels of 2.5 per cent of the budget. He said innovations in science and technology were the basis of most developed countries; hence the commitment of the government to support science and research through increased funding. “Everything that we do depends on our appreciation and application of science and technology,” he added. He pointed out that the focus of AFRA, which is to build capacity in nuclear science across member states, was in “sync with Ghana’s current development agenda which puts human development at the centre”. The Deputy Director General of the International Atomic Energy Agency (IAEA), Dr Dazhu Yang in his remarks said, it was very important that the meeting was going to address radiation safety and the deployment of nuclear innovation in the health and agriculture sectors. He said the inability of some member states to conform to safety requirements limited their ability to fully enjoy the full potential of nuclear science in their strides to develop. He also pledged the continued support of the IAEA through collaboration with Africa through the group. The IAEA Technical Cooperation Africa Director, Mr Shaukat Abdulrazak, in his remarks, encouraged member states to collaborate more and demystify nuclear science for the benefit and awareness of their citizens. He said there were various opportunities open in the sector and urged member states to improve upon their modes and quality of reporting for the telling of better nuclear science in development stories.